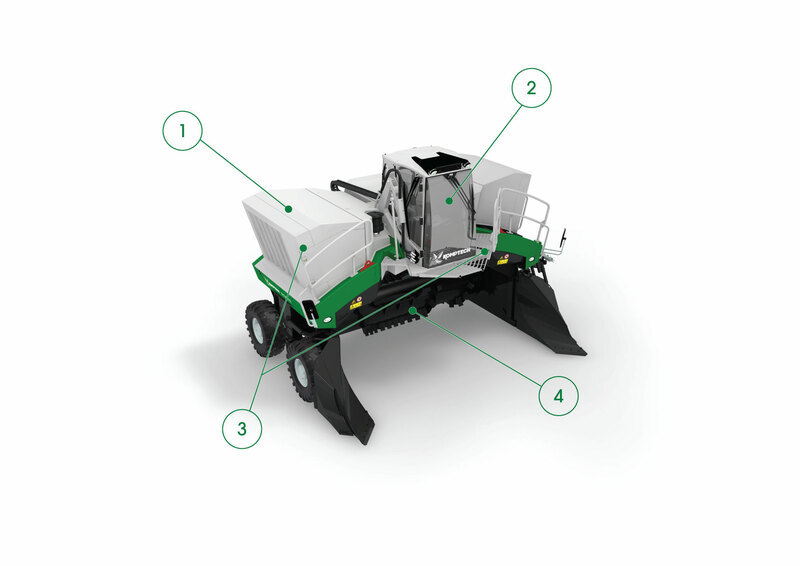 The Topturn X63 is designed to handle the most demanding composting requirements. Available in wheel or track chassis and driven by a powerful CAT® C13 diesel engine, the X63 has an intake width of up to a 19'8" and is capable of producing a windrow turning capacity of up to 5,800 cubic yards per hour. The cooling system keeps everything cool during heavy work loads and high outside temperatures. The large, comfortable cabin and automatic drive creates relaxed working conditions for the operator. The hydraulically extendable maintenance platforms make for fast and easy maintenance too. The X63 comes with a CAT® C13 Tier 4 Final/Stage IV or Tier 3/Stage IIIA engine that meets the latest emission standards. 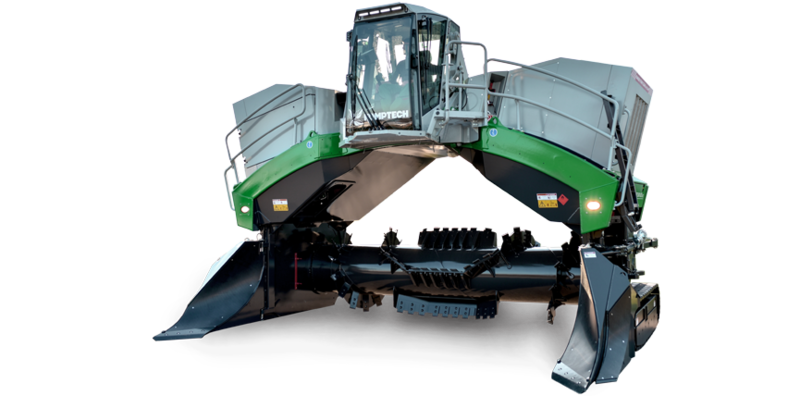 The Fast Drive option doubles the unit's travel speed while outside of windrows for an even greater efficiency. The X63 operator can work all-day in comfort with a roomy, air conditioned cabin and air-cushioned seat. The intuitive information system is operated via a large color display that adapts to any working condition. A press of a button turns the left and right body panels into roomy maintenance platforms with convenient service access steps, platforms and ladders, allowing the operator to reach all maintenance points safely and easily. The X63's large-dimensioned turning drum has a 4'7" (1400 mm) diameter which enables high throughput with complete mixing while the patented scrapper bar ensures the complete pile is turned. HAVE A QUESTION ABOUT THE TOPTURN X63?